The ARIS Platform is a powerful and intuitive tool for Business Process Management (BPM). What is BPM used for? 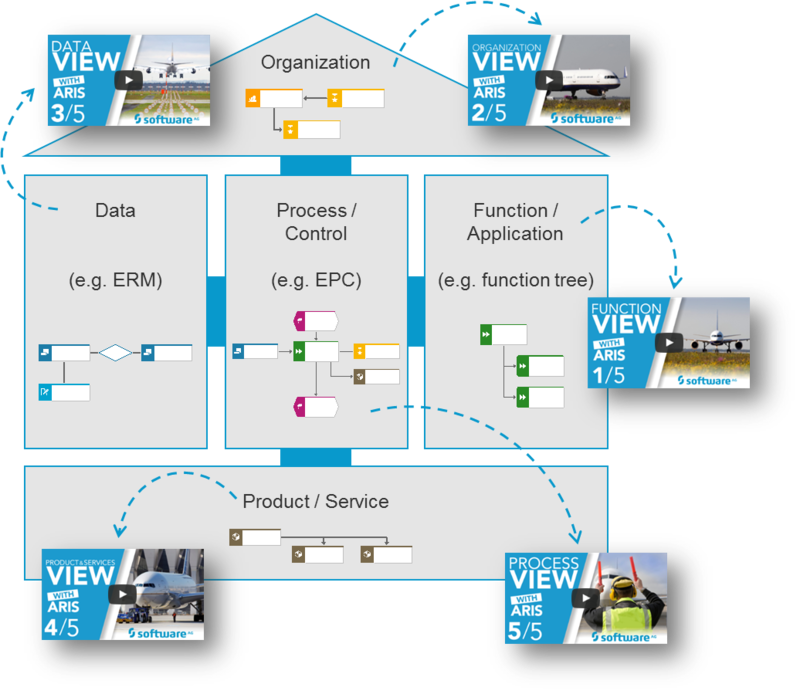 To answer this question check out our five part video series which explains business process modeling with Software AG's ARIS Method at Frankfurt Airport. It will take you only 35 minutes to watch these vidoes and understand the concept of ARIS methodology. The two part lecture slides will walk you through some basics of Business Process Managament and the ARIS house. It will also briefly introduce the different views of ARIS method and the corresponding models. These lecture slides are meant to fit a 90 minute lecture as a part of your course. The ARIS BMP Exercises will teach you how to design, implement and simulate a business process using a real world IT scenario. It takes approximately 12 weeks when the user spends 90 minutes per week working on the Exercises. Please note: the appearance might be outdated, but the content is still relevant. We will update the layout soon. Lesson 1: What is BPM? Check out the video tutorials for ARIS Cloud. For more information visit ARIS Cloud for Students or the FAQs section.